OpenSymmetry is the industry’s leading independent consulting firm specializing in all areas of sales performance management (SPM). As the major implementer for SPM technology for vendors such as IBM, Xactly, Anaplan, CallidusCloud, and Oracle, OpenSymmetry has streamlined sales processes for over 500 organizations worldwide. OpenSymmetry has developed great relationships with their customers by making sure that they are providing the best service and support possible. However, like many organizations, they were using multiple tools, such as phone, email, and other messaging systems, to communicate with their customers. As the customer base grew, it was becoming increasingly difficult to keep track of these different conversations, as well as all the information being passed around. Because there are so many different channels to communicate through, photos, discussions, and PDFs were often difficult to access or lost in cyberspace. Among the abundance of information that OpenSymmetry was providing for their employees and customers, they also had an extensive knowledge base about the products and services they provide, but it was only available to their internal staff members. Anthony Hutchins, Senior Vice President Professional Services at OpenSymmetry. With over 180 employees, and customers scattered throughout the world and in different timezones, OpenSymmetry knew they wanted to build some sort of online community as a place where everyone could interact no matter what time of day it was. OpenSymmetry realized that they needed a more efficient way to organize their resources and provide support for their customers. Their goal? To empower their customers and employees with self-service options through a single portal that would enable more effective and efficient communication and collaboration. A central place to communicate and collaborate with others around the world. A mobile-friendly, branded and secure application available on demand. A social environment where employees and customers connect. Self-service options such as a Knowledge Base to resolve issues and answer questions. Interactive community discussion forums where users can help each other. File storage and sharing for easy access to documentation and resources. 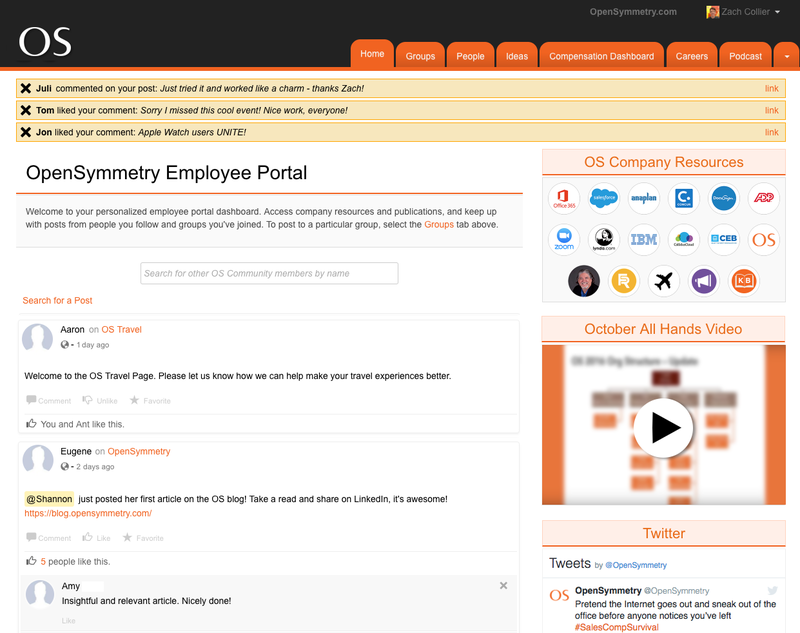 OpenSymmetry employees have rapidly adopted the collaboration features within the Magentrix Social Intranet. 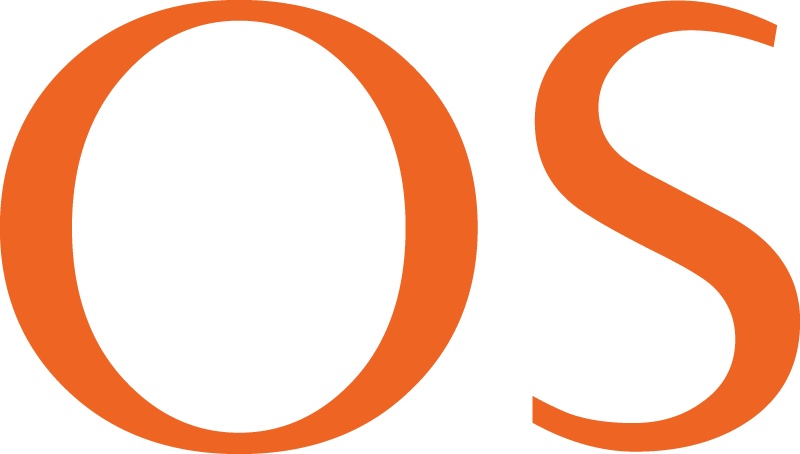 The social environment allows their employees from all over the world to connect and team up to solve challenging problems in a central location. OpenSymmetry created a very rich and robust knowledge base of answers that their employees are able to access whenever they want. By providing their employees with information that is up to date and in a location that is easily accessible by all, they saw improvements in their relationship with their employees. Employees now felt more empowered with this self-service option, thus, allowing their employees to do their jobs better. After finding success through implementing their employee portal, OpenSymmetry is now extending this environment to their customers with their own customer portal. Similar to what they have done in their employee Social Intranet, they want to make the same knowledge base available to their customers so that they can experience the same self-service option to resolve their own questions. This will greatly decrease the amount of support tickets going through their system. Zach Collier, Senior Technical Product Manager at OpenSymmetry. To learn more about OpenSymmetry, please visit https://www.opensymmetry.com/.